Timings and route details noted below are from last year’s event. Those for Bermuda Day 2018 will be added as soon as released. They are unlikely to change significantly. 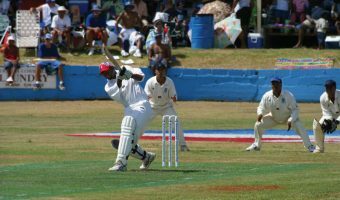 Bermuda Day is one of the island’s most loved and enjoyable public holidays. It is now held every year on the last Friday in May. Previously it was held on May 24 (or closest weekday if that date fell on a weekend). The date was changed in November 2017 by the Public Holidays Amendment Act 2017. The day marks the unofficial beginning of summer in Bermuda. Both the air and water temperatures jump noticeably around this time and it’s the day that most Bermudians take their first dip in the ocean. Bermuda Day is marked by a full day of activities and festivities. It begins at 8.50 am with the Sinclair Packwood Memorial Cycle Race. The bike race starts in St George and finishes at Bernard Park, near Hamilton. At 9 am thousands of runners will take place in the Bermuda Half-Marathon Derby. This race also starts in St George and finishes at Bernard Park. The highlight of the day for most residents and visitors is the Bermuda Day Parade. The colourful procession comprises a mixture of Bermuda Gombeys, dance troupes, majorettes, musicians, and numerous local and cultural associations. Many Bermudians claim the best spots the night before by chalking or spray painting their names on the street. A few have been known to camp out all night on the sidewalk. The parade starts at 1.30 pm at Bernard Park (next to the WER Joell Tennis Stadium). It will then head down Cedar Avenue, turn left onto Church Street, right onto Court Street, along Front Street, and up Queen Street, before finishing at the car park next to City Hall. Front Street will be the main focus of the parade with the dignitaries being seated on the harbour front, between Burnaby Street and Parliament Street. Bermuda Day is an official public holiday, so most shops and supermarkets, and many restaurants and bars will close for the day. Buses and ferries operate a reduced holiday service. The day has its origins in Empire Day, first celebrated in Canada from 1898 onwards on the last school day before Queen Victoria’s birthday (May 24). It was first held in Britain in 1904 and subsequently extended throughout the British Empire. It was originally a celebration of the British Empire and what it meant to be part of it. In 1958 it was renamed British Commonwealth Day and 8 years later, changed again to Commonwealth Day. In 1977 the streets of Bermuda were filled with rioters after two blacks were hanged for the murder of Governor Richard Sharples and Captain Hugh Sayers. The British Government subsequently commissioned Lord Pitt to examine the causes of the disturbances and come up with some solutions. 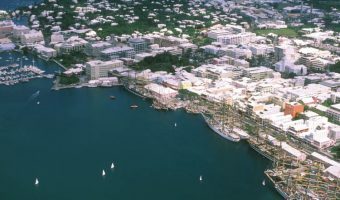 One of the recommendations Pitt made was that Bermuda should hold an annual event to bring the people together and build a sense of civic pride. His suggestion was adopted and the May 24 holiday was renamed Bermuda Day. The first parade was held in 1979.